Hello, friends! I’m been sewing away in the studio all week, happily and busily preparing for our upcoming Lisette sew-alongs. Are you gathering your materials and getting ready? We’ll start with the moto jacket on Monday. In the meantime, I thought I’d give you a preview of the fabrics I’ve selected for each of the sew-alongs. It’s not on our sew-along list (yet! ), but this gorgeous double gauze from Cotton & Steel just arrived, and I’m going to make either the top or the dress from B6182 with it. The peach color was a bit brighter than expected, so I coffee-dyed it and now it’s just perfect. I love sewing with and wearing double gauze, so this will be a lot of fun. I think the fabric is perfect for this style. It will also be really comfortable to wear this summer. I wanted something really luxurious and drapey for the B6169 dress, so last week I went to the fashion district to do a little browsing. At Paron I found this celadon-colored 3- (or maybe 4-?) ply washed silk, which is just so crazy-luxurious that I couldn’t resist it. I’ll definitely be painting or dyeing this one, probably before I cut it but maybe after the dress is finished. I haven’t decided for certain, but I can hardly wait to cut and sew this. The fabric was heavily discounted due to a big sale, so I paid less for it than I would have paid for a ready-to-wear dress made of much lesser-quality fabric. Don’t you love it when that happens? I found this heavily embroidered cotton in a fabric store just around the corner from our hotel in Madrid last summer. Todd thought I was crazy for buying it (and the salesman thought we were amusing, trying to use Spanish to order in meters), and I really didn’t know what I wanted to do with it at the time. But it worked out beautifully for the B6168 dress. I’m so excited about how it turned out! Initially I was considering dyeing part of the fabric, which could also be really pretty with the black embroidery. I may still do something with indigo; we’ll see. For the moto jacket, B6169, I chose this lightweight, somewhat drapey wool with a subtle dobby weave. 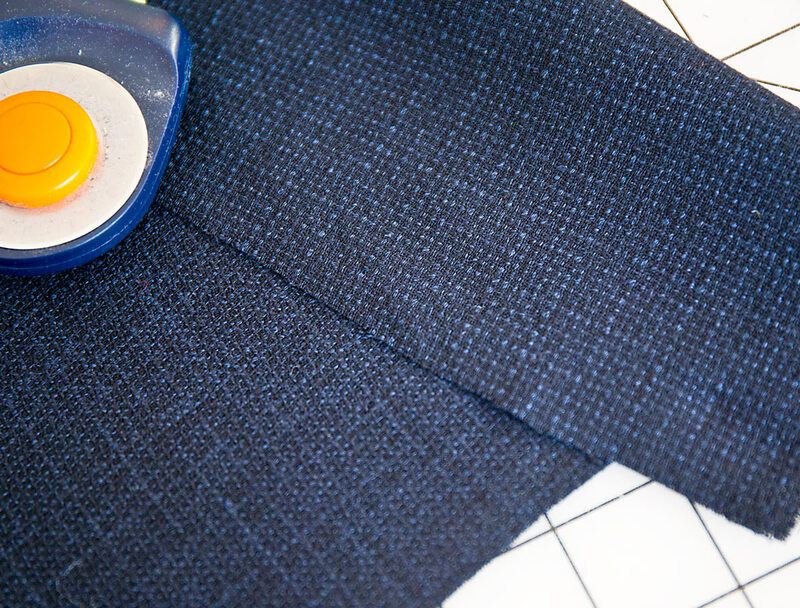 The colors in this fabric are navy and black, which fits right in with my wardrobe. Both sides of the fabric are pretty, and I chose the textured plaid rather than the more subtle pattern on the opposite side of the fabric. Don’t you love it when your fabric gives you options? It might also have been fun to reverse the sides of the fabric in a few places on the jacket, almost like color blocking but just playing with the texture of the fabric. Here are the two sides of the fabric. I also have fabric for B6183 cut out and ready to go, so I’ll show you that soon as well. I hope I’ve given you plenty of inspiration and ideas for your projects! Tomorrow we’ll talk about sizing so you can start cutting out your fabric in preparation for next week. 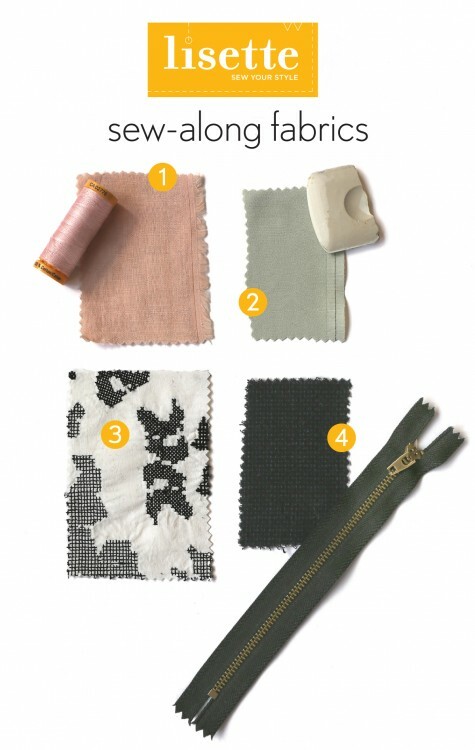 I have my fabrics all lined up too… and I am very excited for the sew-a-long. It can be lonely sewing in my basement in frosty Ontario, Canada – it will be nice to pretend I am at a sewing bee. Thanks for putting in the effort to put this together! These are all lovely. I am looking forward to the sew alongs — a first for me but definitely needed since I am the only sewer I know since we moved to remote New England.